With proper safety precautions, water is fun and cool in the hot summer, and a great way to exercise—for everyone in the family. Every year, thousands of Americans get sick with recreational water illnesses (RWIs), which are caused by germs found in places where people swim or play in the water. San Joaquin County Health Officer Dr. Karen Furst says, “RWIs include a wide variety of infections, such as gastrointestinal, skin, ear, respiratory, eye, wound and neurologic infections. The most commonly reported RWI is diarrhea.” RWIs can be caused by germs spread by swallowing, breathing in mists or aerosols of, or having contact with contaminated water in swimming pools, hot tubs, water parks, water play areas, interactive fountains, lakes, rivers, or oceans. It all started with the generosity of a stranger. While stationed in Washington D.C. during World War II, a young Tony Mistlin decided to see the musical production “Oklahoma.” He approached the box office only to discover that the ticket price amounted to about two months’ worth of his serviceman’s salary. News10 My Neighborhood ran a week-long sweepstakes contest last week. We asked our vusers to submit their definition of HOOPLA, and when they did, their names were automatically submitted into a random drawing. Then, four lucky winners would receive four passes each to Golfland SunSplash. 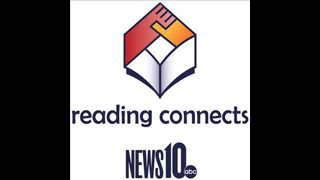 This dictionary quiz sweepstakes contest was inspired as part of News10's Reading Connects campaign which is all about connecting with our community to help improve the literacy rate. NEWS10 is teaming up with parents, businesses, schools, libraries and volunteers to improve the literacy rate in our area. I was ready and especially inspired when I received my race packet. Beer! There would be beer at the finish line. Knowing that I was even able to forgive the fact that they got my age wrong. Oh well, I will be 51 soon enough…next year.